The European conference “ACTIV pentru Romania. 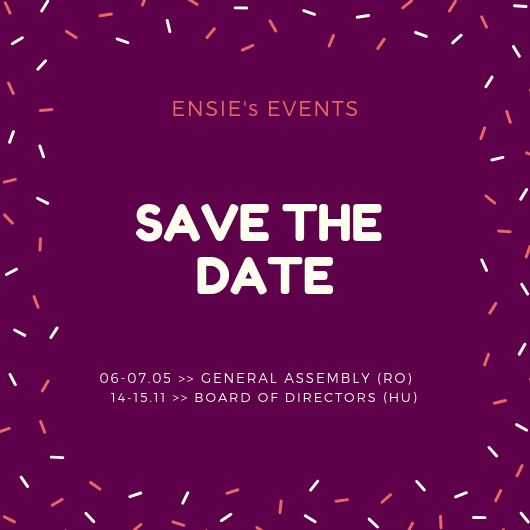 The need for an integrated policy to mobilise those who are “invisible” and for the placement of disadvantaged groups in Romania!” will be organised in Bucharest on the 7th of May 2019. ACIG: “Inclusive Growth post looking at the future of Social Europe"
ACT Grupa and Brodoto, in partnership with Mozaik Foundation, SMART Kolektiv and EVPA, are bringing the leaders and pioneers of the impact investing to the South-East Europe and hosting them in Belgrade, Serbia for a two-day conference called Impact 2019; with a goal to further the impact and growth of the impact investing in the region. The second edition of Impact 2019 Conference is scheduled for 19 -20 February 2019. Special focus is put on possibilities of enabling growth in social impact investment and boosting the cross-sectoral co-operation related to six key areas: Mitigating climate change, children and education, responsible consumption, migration and marginalised groups, agriculture and employment (especially of women). The organisers can offer to their partners from European networks a 20% discount on one 2-day ticket. For more tickets for the representatives from the same network, they can offer higher discounts. Please let them know in next weeks on your possible participation, to send you a discount code. IRIS Network is organising a Round Table on Protection Sensitive Migration Management in Western Balkan taking place in Brussels on December 18, 2018 with the aim of discussing social cohesion, active inclusion as well as the role of social service providers in the Western Balkans in promoting protection sensitive migration management and practices. The main topics of the Round Table will be Western Balkan / South East Europe migrant routes and main challenges & presentation of the Guide on referral system/social service delivery for migrants/ regional perspective and for each of the South East European countries (Serbia, B&H, FYROM, Albania and Montenegro). The International Migrants Day is observed on 18 December in many countries, intergovernmental and non-governmental organizations through the dissemination of information on human rights and fundamental political freedoms of migrants, and through sharing of experiences and the design of actions to ensure the protection of migrants. ESF Transnational Platform "Future of work"
Conference : "How can European cooperation benefit long term unemployed persons?"